In this installment of Our Stories, author Paul Blake explains how his parents’ relationship benefitted from their divorce….For many people, Jamaica is pictured as an island paradise – white sandy beaches, a beautiful and vivacious culture, rich and wholesome food, and attractive people. And while that image is not far from the truth, if the lens is focused on the inspirational stories of ordinary Jamaicans, you’d find a sharper, richer and truer image of the Jamaican experience…this is Our Stories! It’s my humble opinion, after infidelity, divorce is possibly the single most destructive factor that can break a family forever. Many Jamaican families can agree that life isn’t the same after a divorce but for one Jamaican man, his parents’ divorce was the best thing that could ever happen to their relationship. He said when his parents decided to call it quits on their marriage, it made life so much easier to enjoy as the dysfunctional behaviour, more so his father’s infidelity, had rooted an ugly thorn in the family which festered grudge, malice, and violence. While Paul admits that the changes to his family dynamic had an emotional impact on him and his siblings, he notes that his parents developed relationship building skills that they may not have gained when they were living together as husband and wife. It sounds almost bizarre. Why would you say your parents’ relationship improved after the divorce? Well, probably two years ago I told my father and my mother that the best thing they could ever do was to get divorced because I think they are better being apart than together. (Chuckling) Because since they have been divorced, I have never seen them quarrel and when they were married, that was a daily thing. Really? Let me rationalize this. So as a counsellor, is this something you would possibly say to your clients? So are you saying this candidly? Do you really mean it? No man, I mean it. Based on my experience with my parents, the kind of relationship I see them in at this point, they didn’t have it when they were married. And it may come from a point that they were never meant to be together in the first place. I don’t remember my parents enjoying a healthy relationship. Wow! When did they split and how old were you at the time? September 1988, that was one week before Gilbert. I was 15 years old then. And I can imagine it didn’t do well for the children, it did well for them. That’s exactly it. It didn’t do well for the children at all. Being the oldest, I think it affected me probably more, me and my brother that follows me. My other siblings were very young. Self-esteem, academics, my outlook on life, I think it made me didn’t like the whole union of marriage. At a point in time, I actually said that I would never get married. Really? Are you married now? Yes, I have been married for 12 years. That is awesome. So your perspective changed? Yes, I’ve made an about turn. Now let’s talk about the relationship your parents shared before the divorce. My father was basically the typical womanizer – he had a woman everywhere and he made no secret of it. I had to see my mother live through all of that, having to put up with some of the nonsense. My father drank a lot, he was very abusive (not mostly towards me but towards my mother) and as a child growing up and seeing all of that, in my teenage years, I was very very bitter towards him because of that. Are you able to have a conversation with him now about that? I have been able to talk to him about some of the stuff that he did and spoke to him in a real, genuine way without being very bitter about it. I am happy you’re being as candid with me because there are many counsellors, teachers, pastors who say they are able to help people get through issues festering in the family but in their own lives, there are so many things that are unaddressed. I must admit, with every new installment of this blog series, I’m learning how important it is for a person to address whatever dysfunction within his/her family so that he/she can better advise people. What are your thoughts on this? There are sometimes that you just also just have to learn to let it go because one of the things that I have realised especially with parents is that they don’t necessarily like to talk about the past, I’ve seen it many times with people that I talk to. They know that things have happened in the past and they prefer to treat it as if it has not happened. It is almost like it is a different mechanism. Like a ‘sweep it under the rug’ kind of thing? Yes, sweep it under the rug. If you don’t talk about it then it didn’t happen and that is not necessarily good but when you have that kind of situation, you can’t move past that. You have to do the next best thing. Say for instance, I am the person that has this pain and if I carry this pain with me then it is not going to help me. All that is going to end up making me is a very bitter person. So I have to do something about trying to let it go. At some point in time, I have to just let it go. Now as you mentioned, you didn’t always hold these beliefs. Did your professional and spiritual training have anything to do with it? Yeah man, cause I am presently completing a Masters in Counselling Psychology and that has helped me to really understand some of the things like why people behave the way they behave and more so, my own mother, my father, my grandparents. One thing that is very revealing… when I look back at both sides of my family, all of them handle problems the same way and how they handle problems is to quarrel. Everything that happens becomes a quarrel and when I look at it, I trace back all of it and it goes back into several generations. What you realise is that nobody has learned anything different. Until someone makes a conscious decision that ‘I am going to break this kind of behaviour’, then what will happen is that we take on the same kind of attitude (or) behaviour very unconsciously because I can remember at one point in my life before I became a Christian, when I look back – that was exactly how I use to behave. I was actually continuing the same trend that I saw my parents had. Wow! This is powerful Paul. Now let’s talk about the children of divorcees. What’s your recommendation to divorcees who feel guilty about putting their children through this gruelling process? Talk to the children and let them know what is happening. Do not hide it from them. That was one of the things that was devastating for me because my parents didn’t talk to me about it. I actually found out about it and not from them. I don’t really remember how I found out but it was not from them. I am trying to remember if it was somebody out of their family or somebody within their family but I know it wasn’t any of them. So my first advice is to speak to the children. The truth is, relationships break down every day, (it is) not something we can avoid. As much as people try to maintain a relationship for the children’s sake or whatever; at some point in time, it will break down. It cushions the children a lot more when they have the information. I don’t know if there is any easy way to do it but one of the things that children tend to cope better is when they have that kind of information and they understand that not because mommy and daddy are broken up means that they love them any less. That is one of the things that children suffer from. When the parents break up, one of the things that children do many times is that they start blaming themselves like they are the ones who caused the relationship to break up and then that again leads into other issues. And what advice would you offer the children of divorcees? Sometimes in divorce as well, the children are separated. Based on the dynamics, children may be physically separated or emotionally separated… choose sides based on their understanding of what took place. How did you and your siblings ensure you kept a bond? I guess it was just seeing how the family was broken apart because of mommy’s and daddy’s divorce. We just decided and it is not something that we decided when we were young. When my parents got divorced, we spent most of our time with mommy and spending that time with mommy, I think we got closer and that transitioned into us being adults. Even now, one of my brothers lives overseas, my sister lives overseas and two of my brothers are here but we are still very much close. We talk very often and we try to keep that bond as much as we can but it takes work. Thank you so much for sharing your story and valuable advice. 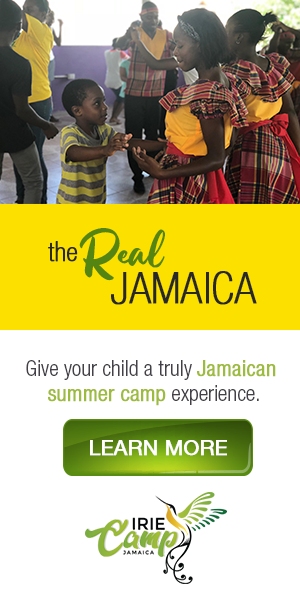 I’m sure many Jamaican families will benefit from this. Paul Blake is a counsellor, motivational speaker and author of Words to Inspire Volume One and Two. Order his books and be inspired!